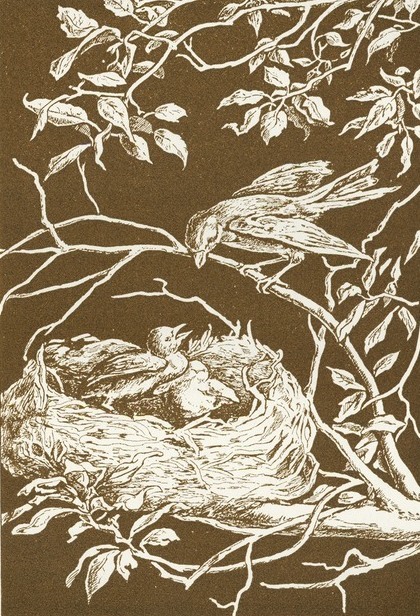 Greeting card sized printable bird nest drawing with mamma bird and two chicks. This public domain bird nest image is in two colors and is quite dramatic when the colors are inverted. Seeley, Jackson & Halliday published Little Blue Eyes in 1875. Since it was published over 120 years ago without identifying an illustrator, this image is in the public domain.